Studies show that people don’t have patience when it comes to the web. Approximately 25% of people abandon a web page if it doesn’t load in 4 seconds or less. That might seem like a harsh penalty. But fortunately, the climb isn’t too steep; if you can reduce your website’s loading time to 2.9 seconds, it instantly becomes faster than half of the existing websites. This means that even marginal improvements to the website speed can result in disproportionately larger advantages to your business. And as WordPress dominates a quarter of the web, site owners wanting to speed up WordPress shouldn’t come as a surprise. 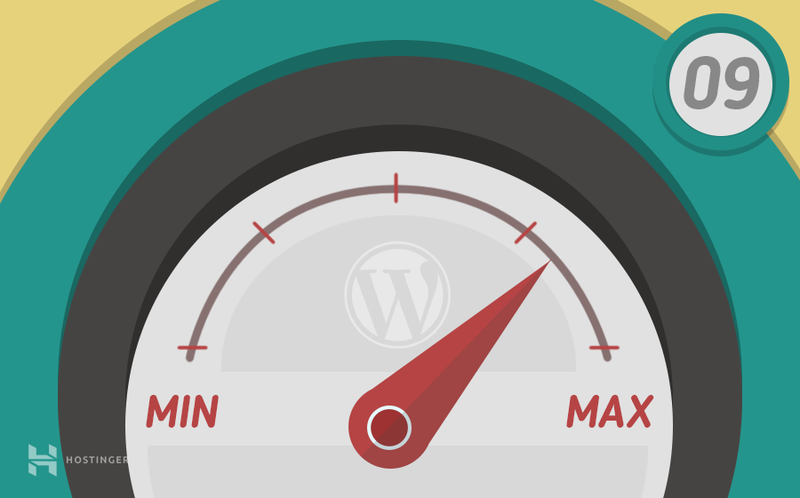 In this tutorial, we will show you how to speed up WordPress site in 9 easy steps. You don’t need to be a programming guru to get through this guide; this WordPress tutorial is designed with the novice in mind. Following this tutorial will not only boost your site’s user retention but also improve SEO! Before embarking on your WordPress optimization journey, you need to know where your site currently stands compared to the rest. Testing your site’s speed isn’t merely a formality; you can save yourself the trouble of following the rest of this tutorial if your site is already operating at optimal speed. 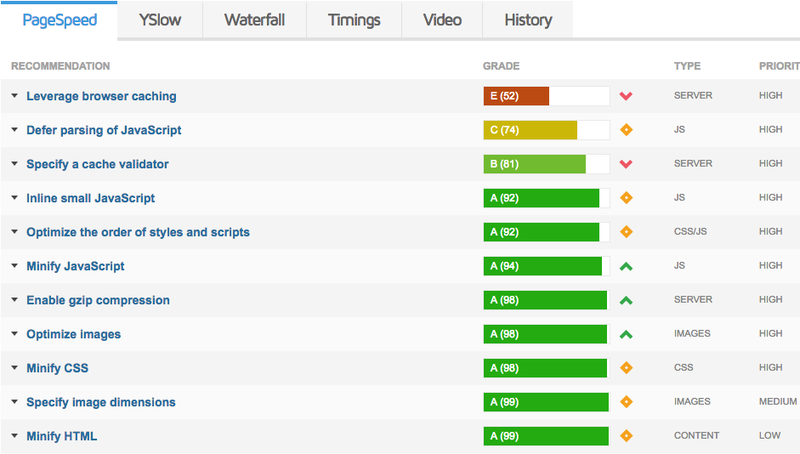 There are a ton of useful tools that enable you to gauge your site’s performance. We recently published a detailed tutorial showing how to test your website with GTmetrix. It gives useful tips on speed improvement by combining Google Page Speed Insights and YSlow results. Finally, if you want to check your site against other sites, you should check out Pingdom. It is common to add new features to your site to keep it modern and relevant. On WordPress sites, this is done via plugins and themes. Many times, newer plugins replace functionality of the original feature by making it less functional. As the time passes, you might find your site filled with plugins and themes that haven’t been in use for a while. An excessive number of plugins, especially obsolete ones, can dramatically impede WordPress performance. As a general rule, the first thing you should do is remove or at least disable unnecessary plugins when optimizing WordPress. Ideally, your site should only have plugins that are essential to its operability. Be sure to check out our guide on how to install and uninstall WordPress plugins. Minification is one of the most useful techniques if you want to enhance the performance of your website. It attempts to reduce the size of your front-end files and scripts (HTML, CSS, JS) by removing extraneous characters, such as spaces and comments, from these files. The result is the exact same functionality delivered without the added bulk. Plugins that can help you achieve minification include Autoptimize and W3 Total Cache. For a more in-depth look at improving website performance through minifying files, check out our detailed tutorial. In addition to minifying files, you can also benefit from a separate form of compression, called Gzip compression. Essentially, whenever someone visits your site, resources (files) from your server are fetched. The larger the resources, the more time it takes to load them on the client end. By enabling Gzip compression, you can substantially decrease the size of these resources, this way speeding up the WordPress loading process. You can also follow our dedicated guide that provides a step-by-step process on how to enable Gzip compression on your server. Conversely, plugins like WP-Rocket can enable Gzip compression automatically on your site. Due to their static nature, images might seem rather innocent. But don’t be fooled by this – high-res images can cause a bandwidth bottleneck if you’re not paying attention to their size. This doesn’t necessarily mean that you should abandon high-fidelity images in favor of smaller, blurrier snaps. There are multiple methods to optimize images on your website. WordPress plugins, such as Smush Image Compression and Optimization offer a convenient way of achieving greater speeds without sacrificing image quality. For more on WordPress image optimization, check out our standalone tutorial on this topic. Another buzzword you might have encountered while searching for ways to optimize WordPress is pagination. It simply refers to breaking down larger content into smaller chunks. These chunks can then be displayed one by one as separate pages. Pagination is typically used for the comments section of websites, where loading thousands of comments simultaneously jams up the bandwidth. You can easily enable pagination on comments in WordPress – simply navigate to the Settings section, and then go to Discussions. Here, you can determine the maximum number of comments per page. A balanced approach is recommended. Not enough comments per page are also undesirable, as users don’t want to constantly click for the next page. In addition to the comments section, pagination can also help you split a post/page into separate web pages. This can be very useful for longer posts, as users are less likely to be overwhelmed at first sight. Pagination on posts can be enabled by adding <!–nextpage–> into text version of the post. WordPress will automatically detect and enable it for you. This is one of the lesser known tricks of the trade. Nevertheless, it is one of the most impactful ones. Migrating from PHP 5 to PHP 7 on your own might sound daunting, but the benefits are practically begging for you to make the switch. WordPress performance increases by a factor of 2 on PHP 7 compared to PHP 5; the former can process 112% more requests/second than the latter. 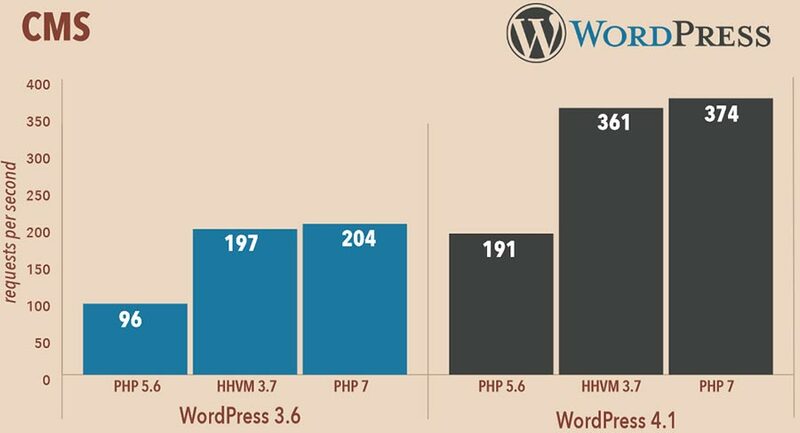 Moreover, WordPress also benefits from PHP 7’s memory optimization, resulting in a 30-50% performance boost. That’s why PHP 7 is set as default PHP version on all our shared hosting plans and we can offer 5X WordPress Optimized Speed. One crucial thing to keep in mind, however, is the lack of backward compatibility of PHP 7. This means that you would not be able to use certain plugins and themes, including the ones that ran perfectly fine on PHP 5. To check whether your site is currently housing such plugins/themes, use PHP Compatibility Checker for WordPress. Caching is a well-known mechanism to offload some of the burdens on the web server. Basically, caching engines store information that is used often on the client’s system (browser, memory) so that the browser doesn’t have to fetch that information repeatedly from the server. Caching can substantially enhance site performance, and is thus, one of the foremost techniques for WordPress performance tuning. A ton of decorated plugins is available for WordPress that enable different kinds of caching, including WP-Rocket and W3 Total Cache. You are also advised to visit our guide on how to use WP Super Cache to enable caching on your WordPress site. With lightning fast internet speeds, sometimes it is easy to forget that ultimately, web pages reside on physical hardware located far from your location. And at times, this distance is so large that it can adversely affect response times. Most sites tackle this issue through Content Delivery Networks (CDN). When you enable CDN on your website, the client’s browser no longer has to retrieve every single page from the web server, instead, some static pages are forced to reside on data centers that are closer to the client’s location. This reduces the total number of requests handled by the web server, consequently improving WordPress performance. A flurry of options is available for choosing a CDN. Most popular include Cloudflare and MaxCDN. We have provided a separate guide on setting up Cloudflare for your WordPress site, that you can find out here. In this tutorial, we saw how to speed up WordPress by following simple yet useful settings and plugins. 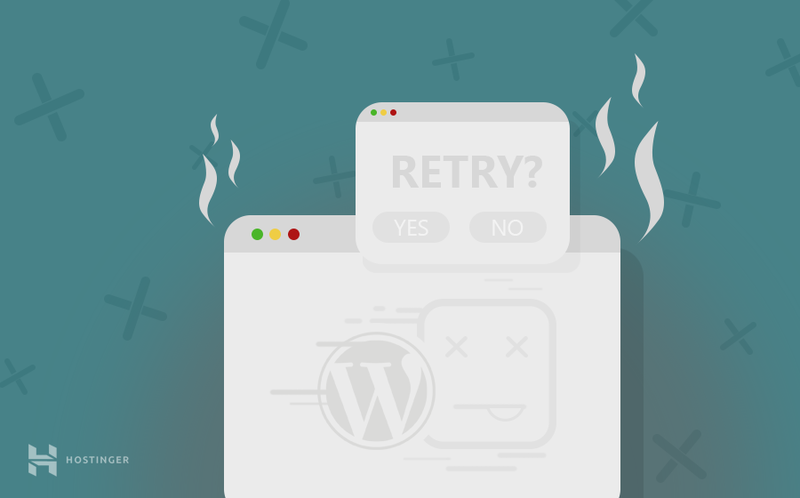 By following these steps, you should be able to see significant improvements in the performance of your WordPress website. For more WordPress tips and tricks as well as in-depth guides check out our WordPress tutorials section.